In April, 2017, two men were arrested in Houston, Texas for manufacturing and distributing Kush, also known as synthetic marijuana. These alleged drug distributors are about to make the most important decision of their lives. Choosing the right attorney is vital in this criminal case, the maximum punishment is life in prison. The sheer scope of the enterprise, 550 pounds of Kush was seized by Houston’s Police Department (HPD), is astounding (http://abc13.com/news/hpd-2-arrested-in-$25-million-kush-bust/1896731/). Additionally, Texas drug laws are some of the strictest in the country. With an expert attorney, the sentences for possession of this $2.5 million worth of Kush can be the minimum, as low as five years in a state prison and a $10,000 fine. Criminal lawyers with extensive experience interpreting The Texas Penal Code and The Texas Controlled Substances Act can provide will present the best defense. Harris County District Attorney Kim Ogg essentially has the substantial evidence, Houston Police Chief Art Acevedo’s investigation began in September 2016. Also known as K2, Kush is a mixture of various herbs combined with chemical fluids. During 2016 the number of people were treated for overdoses on the fake drug increased substantially in Houston. The Centers for Disease Control and Prevention reported poison centers saw a 221% national increase in calls regarding Kush. 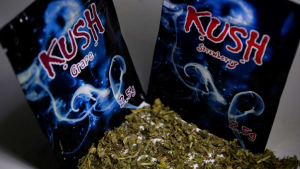 Many addicts use Kush as an alternative to crack cocaine. Although abuse of the drug is nationwide, Houston in particular developed a reputation as the place to buy the drug. Mayor Sylvester Turner implemented a hard-liner plan to address the Kush epidemic throughout the city. These gentlemen face a zealous prosecution. The best defense is a good offense, experienced drug defense lawyers can develop the best strategies for the trial. It will be an uphill battle, after all, the defendants were arrested in an empty apartment with drug paraphernalia and manufacturing equipment. Additionally, an actual delivery was witnessed. When you hear private eye what comes to mind? A man wearing a hat and a trench coat sitting in his car doing surveillance. Or does your mind drift to old television shows that depict a private investigator in action. He’s sitting outside someone’s home camera in hand with folders spread out on the seat next to him. Tailing a subject around town while trying to be inconspicuous. Interviewing people trying to find just the right information for his client. While some of these activities are pertinent to the job, what is shown on television and read in novels is not really all private investigation is about. Private Investigators In Texas are not created equal. There are many specialties among the private investigation industry. Some Houston private investigators specialize in one area like criminal defense or insurance fraud, while others offer a variety of specialties. While many of the specialties may crossover such as surveillance and backgrounds checks, there are many types of private investigators. Fraud is one specialty in the field. This can range from insurance fraud, welfare fraud, identity theft, pyramid schemes, and more. Another area is criminal investigations. Private investigators can work with law firms to help them get evidence for their cases. Defense attorneys and prosecutors can benefit from working with an investigator on their case. Some investigators specialize in accident reconstructions. In this area the investigator will evaluate the cause of an accident and determine where it was located. They can work with insurance companies or law firms helping them figure out liability, provide answers, and gather evidence for court. These examples are just a fraction of the different areas that comprise the field of private investigations. Texas Private Investigators are upheld to high standards. They work hard to attain their position and will not jeopardize their livelihood by participating in illegal activities for the sake of a client. Many people believe that investigators participate in illegal activities such as breaking and entering, hacking, and trespass, record conversations with consent, or film people who are inside their home. They are not allowed to break the law to get their job done. Investigations must be completed within the confounds of the law. All investigators are required to be licensed. Most states have stringent requirements that requires years of work to attain. Upon completing thousands of hours of work, the private investigators exam taken and passed. Investigators cannot impersonate law enforcement officers under any circumstances. They can’t even give an implication that they are a police officer. Investigators must let individuals know that their identity. People are more forth telling when they see a badge or think someone is an officer. A private investigator is not allowed to mislead people to get information. An investigator participating in this practice would be prosecuted and have his license revoked. A job as a private investigator is a job like no other. No two days are alike. One day an investigator can be doing surveillance, the next he could be searching for a missing person, the next he could be performing background checks. Investigations can take weeks and months to complete. It takes patience to continue on when things go stale. But the investigator must push through to get all the information they can to help their client. People also assume that Houston private investigators are put in danger on a consistent basis. While there is some danger involved when conducting investigations it doesn’t occur as often as people think. When we go out and do things to enjoy our lives last thing we expected to be caught up in some kind of a tort battle or to pay for our attempt at a time with some form of personal injury. This often happens more than some of us may care to think about. People get hurt all the time when they are out and about doing the things that makes life worth living. If you happen to sustain some form of injury while on the premises of a business it’s important that you realize that you have the option to sue and you will probably win if you can show the court that the business was negligent in some way. Some of the most common claims in which people end up suing businesses and corporations, with regard to personal injury claims, occur in businesses mainly focused on dining, shopping, and extracurricular activities or sporting. All businesses owe their clients a duty of care which must not be breached as it may cause undue harm to their clients and customers. This is most often times because of negligence rather than incidents that can be deemed unpredictable in nature. However, whether you were injured in a freak accident, or because of negligence, an experienced Houston personal injury lawyer will need to be consulted so you can be made well aware of your best legal options. Depending on which lawyer you talk with you could be to tens of thousands, or even in some cases hundreds of thousands of dollars for your claim. If you are the prime plaintiff in a personal injury related lawsuit it’s strongly recommended that you contact an attorney as soon as possible. Whether you were the victim of a slip and fall accident in a store like Walmart or target, or if you are heard at the gym while working out, you do assume some risk but there may also be some liability on the property owner and or business operator. An attorney who is well-versed in Houston, Texas tort litigation will be able to answer all the questions that you may have related to your claim. Driving while intoxicated is a serious criminal offense in Houston and elsewhere in the state of Texas. You’ll need a Board Certified specialist DWI defense lawyer like Tad Nelson if you’ve been criminal charged with Driving While Intoxicated in Houston. See the video below to learn more about Tad’s legal services. Immigration is a serious issue when you consider the plight of people who are separated from their families and loved ones by hundreds and sometimes thousands of miles. We know how it happens. Persons immigrate into the United States, whether legally or illegally, for the sole purpose of taking advantage of our great economy, our high earnings potential, and an opportunity to send some support back home to their family. In these current times things can be a little bit difficult for the illegal immigrants or the legal immigrant who stayed in the United States of America on an expired visa. It’s also difficult for illegal immigrants who are jailed for narcotics possession and or other serious crimes who find themselves incarcerated in detention facilities. In Houston, Texas, there are number of immigration lawyers who are able to help these people. A number of times these immigration lawyers also criminal defense attorneys which puts you in a position of killing two birds with one stone when you’re looking to help your loved ones, or yourself. Regardless of your situation, finding a good immigration attorney in Houston, Texas can prove to be a hassle if you don’t know what to look for in your prospective legal representation. There are number of good lawyers out there and there are a number of bad ones. What you need is a lawyer that you can trust to help you get to your immigration or criminal matter with ease. A few of the new immigration options that are soon to rollout are new programs for immigrants who arrived in the United States as children in addition to their parents. There are also new programs for citizenship via naturalization, visas for entire families, and a slew of new programs that you can take advantage of in the event that you are eligible. Attorney Carvana Cloud is the leader and founder of The Cloud Law Firm, a full service criminal defense and immigration law firm based in Houston, Texas. Facing jail time due to a felony or misdemeanor criminal offense, or allegation thereof, is no laughing matter. Its almost always smart to hire a Houston lawyer who has a strong history of positive performance when it comes to successfully winning in court for people who have been accused and arrested by law enforcement. Houston criminal lawyer Tad A. Nelson, Board Certified, is more than willing to help you out of your woes with the legal system. Use the contact information below to get help. Attorney Tad Nelson is a criminal defense attorney law firm based in Houston, Texas. He committed crimes so chilling that hardened Houston and Texas area detectives were left in shock at the murder scenes left by the savagery of Dean Coril. Back in the early 1970’s, a number of boys went missing from the Houston Heights area of Houston and most of them were killed at the hands of Dean Coril. I remember way back in 1997 when a friend from Galveston, and I, went out to party in southwest Houston right after we graduated college. I think we may have left early that night, at maybe around 8:30pm or 9ish, so we could grab some liquor get a good few hours of prepartying in prior to our debut on the club scene. And there we were. Speeding like maniacs in our cars, following each other quasi-racing, as we left the east side, took I-10 West towards downtown Houston, then swung south at downtown on Highway 59 on our way to a nightclub on Bissonnet St. Before you know it, it was 10:30pm and we wouldn’t have too much time to hang out with our buddy, that we normally visit, who lived in the area near the club we were visiting. We had a few drinks and were on our way out the door, on the way to the club which was about 2 blocks up the road. We took my car since I was the least buzzed. We passed the first traffic light, then we noticed red and blue lights flashing behind us. You know what it is. Its the police. After stopping for the police, they claimed to have smelled what they assumed was alcohol on our breath. Both of us being law students, we realized that if we try to beat the rap, we won’t beat the ride. However, there was a local attorney that visited our class and said to always be polite and honest with police, but with judgment. The reason he said to use good judgment was because sometimes you can talk yourself into an arrest, and other times not talking can be construed as a refusal to cooperate. 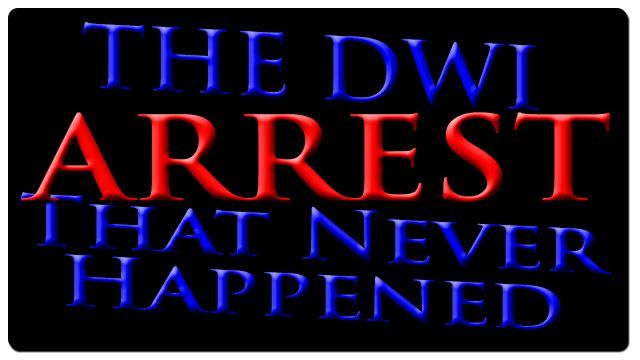 Dealing with the Houston Police Department during DWI stops is a delicate situation which deserves care. We told the Houston police officer that we were from the east side of town, as evident by the address on our drivers licenses, and stopped by a friends house before heading to the club. He asked us if we had been drinking, and I said yes, but I was not intoxicated because I intended to get sloppy drunk at the club and was saving some space. He laughed and let me off with a warning for running a stop sign 2 miles back before we got back on Bissonnet. Seems he had been following behind us in his squad car for a while. Arrested for DWI in Houston or Galveston? If you or a family member has been arrested by police for a DWI offense in Houston, Galveston, or League City, and are facing a court date in Harris County, or Galveston County, contact a lawyer who can help you fight the charges in the court of law. DWI can be charged as a felony offense, or a misdemeanor depending on the details. Talk with an attorney for information about what can do if you’ve been charged with a DWI. My nephew was arrested for public intoxication this weekend at a bar in Houston and feels the cops went to far because he was just out having a good time. I had to explain to him that regardless of how good of a time he was having, it is no excuse to break the law. If being intoxicated in public is illegal, then police are well within their right to execute an arrest if they have probable cause to believe that you are publicly intoxicated. After talking with a criminal defense attorney, we decided it best for him to plead guilty to the misdemeanor charged so long as he is given deferred adjudication. The prosecutor agreed. Moral of the story: obey the law, and you won’t have to have any dealings with the criminal justice system in Texas. Houston personal injury attorney Carvana Y. Cloud of The Cloud Law Firm P.C. has been fighting for injured victims’ rights for over 10 years in the state of Texas. Over the coarse of her career, she has gained the respect of other personal injury attorneys in the field, as well as gained the trust of the community by serving the interests of her clients with the utmost integrity. When it comes to matters involving personal injury or wrongful death claims, you are in good hands working with Carvana. Attorney Carvana Cloud knows the legal system, and how to handle insurance companies that don’t wanna play ball. With more than 10 years of legal experience in compensation and claims litigation, she is competently confident, based on a number of successful personal injury and wrongful death lawsuits, to be able to handle a number different forms of legal matters involving getting fair treatment for injured Houstonians. Attorney Carvana Y. Cloud handles all legal matters relating to personal injury and wrongful death claims listed below.